Music and animation by Adamsmasher. Enjoy! For discussions on this and other topics, register today at tonymacx86.com! 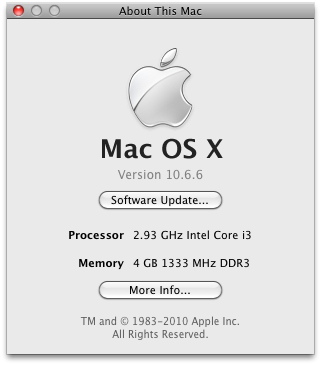 UPDATE: Mac OS X 10.6.7 Update for early 2011 MacBook Pros delivers native support for Sandy Bridge CPUs. The motherboards listed here are unavailable due to the Sandy Bridge recall. Earlier this month, Intel officially announced it's new Sandy Bridge LGA 1155 CPUs and chipsets. While we've installed and configured Mac OS X Snow Leopard successfully on these components, unfortunately they are not used in any Apple computers yet. Therefore, they are only in the experimental stages of support, and require a non-vanilla "Legacy Kernel" to boot. Sandy Bridge LGA 1155 CPUs are Intel's direct successor to the previous LGA 1156 Core i3/i5/i7s. While all older Core i3/i5/i7 CPUs are able to be overclocked, all but the new K models are locked down. The 2 unlocked models, the Core i5-2500K and Core i7-2600K show unbelievably high performance when overclocked. One of the improvements that Intel included in Sandy Bridge is the new integrated graphics controller. The new integrated Intel HD 2000 or HD 3000 graphics controller offers much better performance over the previous generation Intel HD. However, all modern Intel onboard graphics are unsupported, and there are no workarounds. For now the only option is to use a supported graphics card. Please note that the P67 chipset does not support the integrated graphics controller. If you want to utilize it in other OSes, you'll need a motherboard with a H67 chipset. Also revealed this month were most major motherboard manufacturers' LGA 1155 offerings. 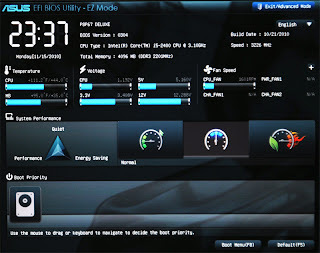 Interestingly, ASUS, MSI, and others have chosen to use UEFI instead of BIOS. This allows for more user-friendly setup and customization of CPU settings, as well as providing a full OS-style graphical user interface. 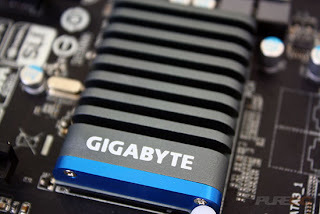 Gigabyte has instead gone the traditional route, and uses the same Award BIOS most users are accustomed to. 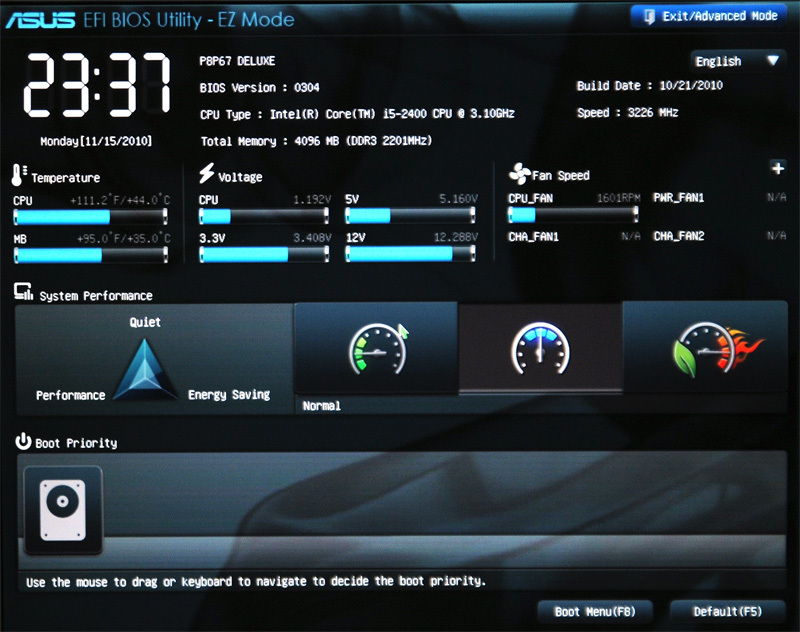 They will however, be transitioning to a new hybrid UEFI setup within the first part of this year. Luckily, the Chameleon bootloader works as well with UEFI as it does with BIOS. 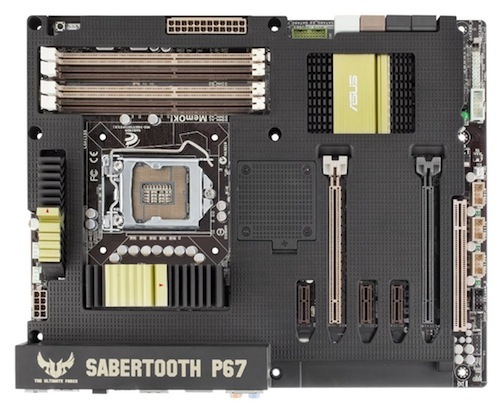 In initial testing, it seems as if Gigabyte and ASUS motherboards could be the best bet. They all include new features like USB 3.0 and SATA 6.0 standard. Most also feature the friendly Realtek 8111E Gigabit Ethernet network controllers, fully supported by Lnx2Mac's RealtekRTL81xx kext. The good news continues on the audio front, as these motherboards all use Realtek ALC888b, ALC889, or ALC892- all supported codecs using MacMan's ALC8xxHDA. CPUs and Motherboards listed are available at the time of this posting. 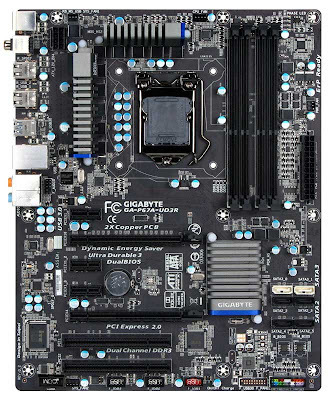 All of the new Gigabyte motherboards will be added to the DSDT Database. In addition, we'll be broadening the DSDT Database beyond our current Gigabyte offerings to include a verified library of pre-edited ASUS DSDTs. PLEASE NOTE: Sandy Bridge CPUs and chipsets are not currently supported natively by Mac OS X Snow Leopard. We can't recommend Sandy Bridge systems yet, as there is no official support. Hence, please don't view this as buying advice. We don't recommend using a patched kernel for the long-term. The vanilla kernel is a much more desirable solution for a stable system. For those of you buying new systems anyway, we've opened a special section of the forum dedicated to Sandy Bridge. Good luck! Let us know how it goes with these new components! Today MultiBeast was updated to version 3.1. The latest version is now available at tonymacx86.com/downloads. Please do not upload or redistribute MultiBeast to any other sites. Replaced fakesmc 2.5.0 with FakeSMC 3.1.0. Added to Drivers & Bootloaders -> Kexts & Enablers -> Miscellaneous -> FakeSMC Plugins. This installs the following FakeSMC plugins in /Extra/Extensions: ACPIMonitor.kext, IntelThermal.kext and SuperIOFamily.kext. Additional plugins can be found at Project OS X. Credit to Slice and netkas. Updated ALC8xxHDA to version 1.0.1. This version restores Green Line Out and Headphone functionality to how Legacy8xx works. Added bdmesg command line tool as part of all Chameleon installs. If this utility has helped you, please consider a contribution to support further MultiBeast development. Thanks in advance, and enjoy! Today, iBoot is updated to 2.6. Grab the latest version at tonymacx86.com/downloads. GraphicsEnabler=Yes only. We've removed all kext based graphics enablers. Chameleon 2.0 RC5 r700 - ATI Experimental by Kabyl (branch) with support for both NVIDIA 4xx and ATI 5xxx cards. If you can't get to installation, type -x PCIRootUID=1. tonymacx86 Classic theme optimized for standard or widescreen displays. iBoot-GE has been retired. iBoot now contains all of the same functionality. Please do not upload or redistribute iBoot to any other sites. iBoot Legacy and BridgeHelper have also been updated and now use the 10.6.0 Legacy Kernel by Nawcom, AnV, and Azimutz. This modified kernel adds experimental support for Intel's new LGA1155 Sandy Bridge CPUs. 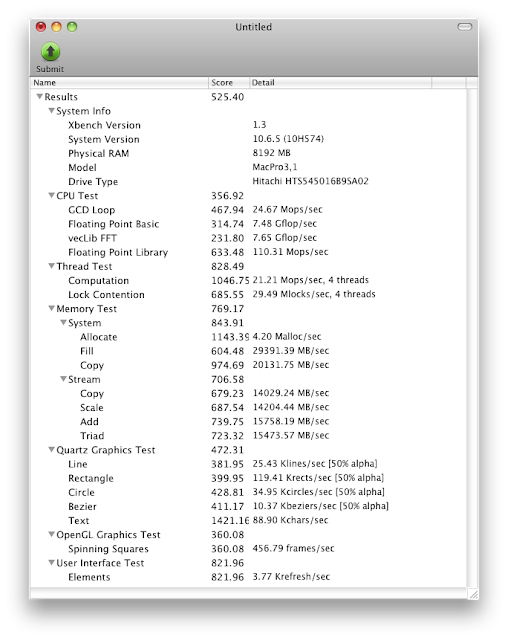 PLEASE NOTE: Sandy Bridge CPUs and chipsets are not currently supported natively by Mac OS X Snow Leopard. We are providing this to assist early adopters only- use at your own risk. 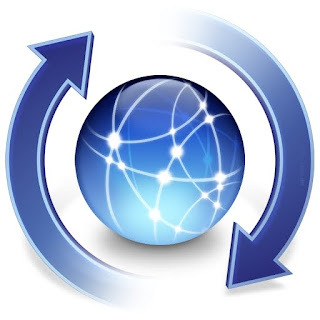 Today Apple released Mac OS X 10.6.6 the 6th major update to Mac OS X Snow Leopard. To update for any supported CPU, simply run Software Update, or download the standalone installer from Apple. Be sure to back up any important data, and if possible clone your hard drive before applying the update. Testing is underway. Report your results in the forum here. The Mac App Store is included! This application shows up in the dock after reboot. Replacement NVIDIA drivers - not Fermi capable. Most supported systems will not need to make post-installation fixes, but here are a few points to be aware of. Graphics - If you're using a NVIDIA 4xx "Fermi" card, you will have to re-run the NVIDIA Update to regain full acceleration. 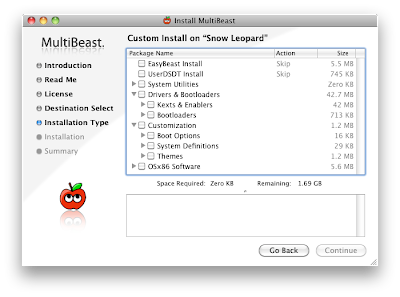 Make sure you have a Mac Pro System Definition installed from MultiBeast, or it will not let you install. You may also use the tonymacx86 NVIDIA Update. Audio - The Combo update will replace your AppleHDA.kext. If you aren't using the ALC889a codec, you will have to reinstall AppleHDA Rollback using MultiBeast. If you're using VoodooHDA, you will not need to make any modifications. 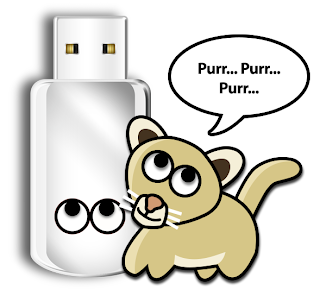 USB - The Combo update will replace your IOUSBFamily,kext. To restore full USB functionality on a non-DSDT or EasyBeast system install USB Rollback using MultiBeast before reboot. 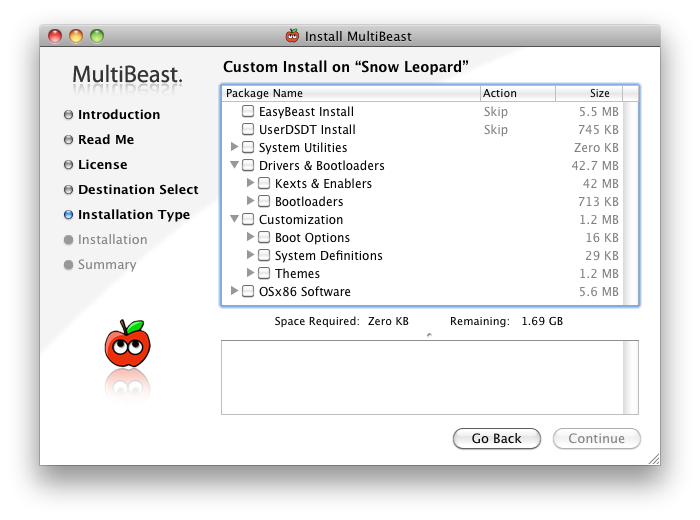 Download MultiBeast. Sleep enabler kexts are version specific. Remove before installing the update. 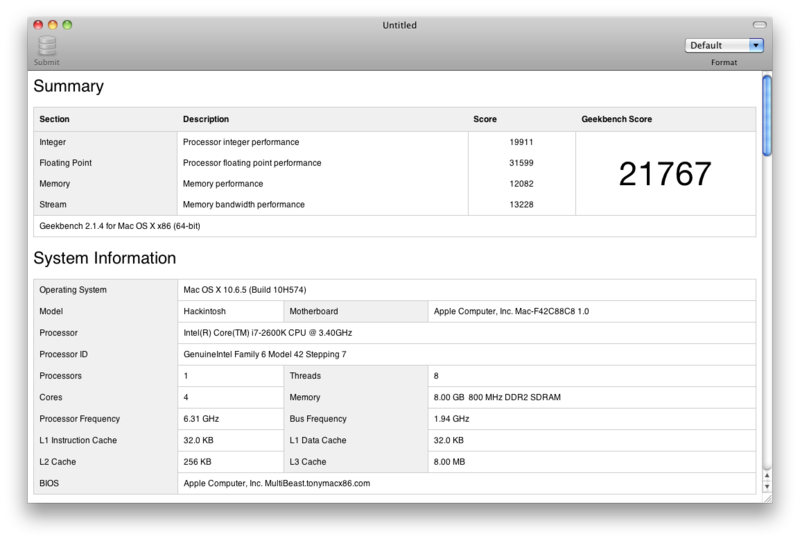 NOTE: These results may be affected by unsupported CPU and chipset. 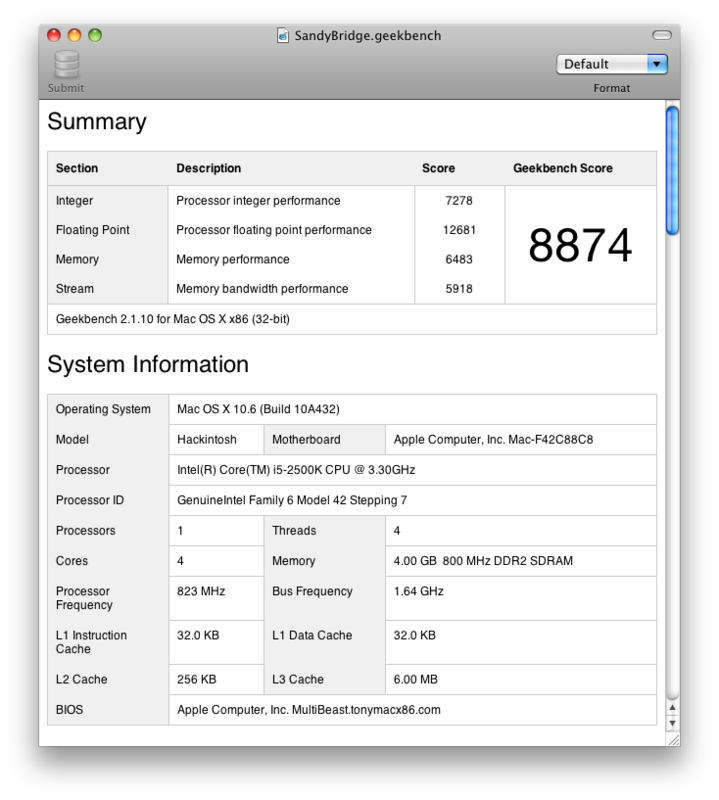 UPDATE: Mac OS X 10.6.7 Update for early 2011 MacBook Pros delivers native support for Sandy Bridge CPUs. Today Intel lifted the Non-Disclosure Agreement on it's new Sandy Bridge LGA 1155 next generation performance chipset and CPUs. The good news is, we've already successfully installed Mac OS X Snow Leopard! The bad news is, until Apple uses these CPUs, it's a bit of a science experiment, as you'll need to use a "patched" non-standard Darwin kernel in order to boot the system. For those of you buying new systems anyway, we're opening a special section of the forum dedicated to Sandy Bridge. 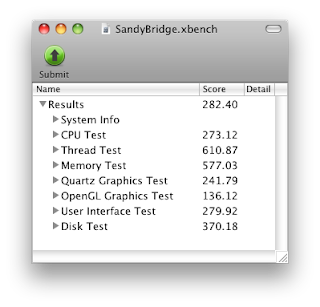 PLEASE NOTE: Sandy Bridge CPUs and chipsets are not currently supported natively by Mac OS X Snow Leopard. We can't recommend Sandy Bridge systems yet, as there is no official support. Hence, please don't view this as buying advice. We're providing this as a service for early Sandy Bridge adopters- and don't recommend using a patched kernel for the long-term. The vanilla kernel is a much more desirable solution for a stable system. The patched kernel used for these experiments is based on the Mac OS X 10.0.0 kernel that has been altered to run on unsupported CPUs by Qoopz and the ProjectOSX team. It's gonna be an exciting year! Stay tuned for updates. Good luck, and have fun! It helps us continue to do what we do.